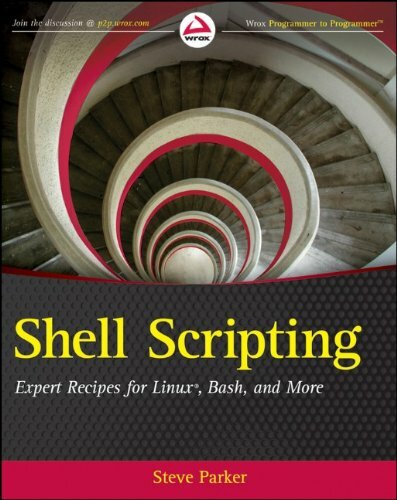 Unix/Linux and Bash systems or easily adjusted to work in other environments Features recipes for system tools, recipes for using shell features, and recipes for systems administration Provides a look at how shell scripting serves as the main way to communicate with the Unix system Come out of your shell and dive into this collection of shell scripting recipes that you can start using today! STEVE PARKER is an author, editor and consultant specialising in information about the natural world, biology, technology and general sciences. After receiving a First Class Honours BSc in Zoology, Steve went on to work in house at various publishers including Dorling Kindersley and Haymarket. His backlist has grown to 300+ titles, with 150+ as editor or consultant. They vary from small, light-hearted "one-offs" to heavy-duty tomes, commissioned by a wide clients base including international publishers and co-edition specialists.